I've just finished my new FF7 character Dyne, replacing Barret Wallace in the field and in the battles - all models are swaped, nine in total. Credits to Grimmy for making the NPC battle model compatible with the playable character commands during last summer of 2017, and to Kaldarasha for the wonderful Barret model used for NPC Dyne in both the field and battle - he created the base-model. I've re-riged the Barret-model created by Kaldarasha for Young-Dyne, Boss-Dyne and Field-Dyne. 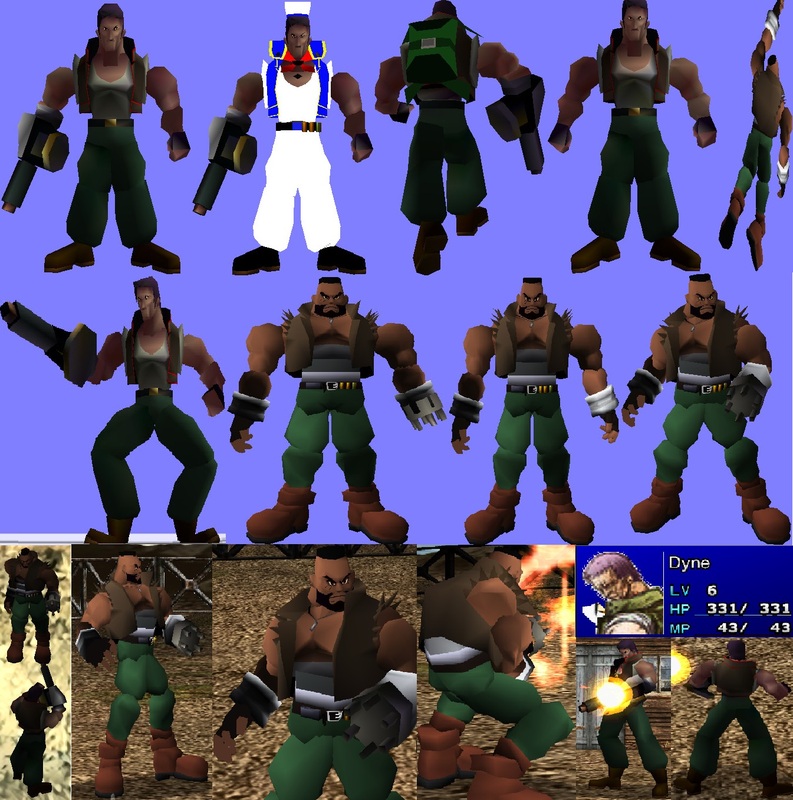 Then i've riged the Dyne original FF7 model for Young-Barret, Sailor-Barret, Field-Barret, Parachute-Barret and one of the two included battle models of Barret (one is based on the Barret-model and i did rig it). Grimmy hex-edited the original NPC-model which is the other one. Then i've finished the Dyne-Avatar and added the limit-breaks and Kernels by Grimmy that he did also finish last summer.